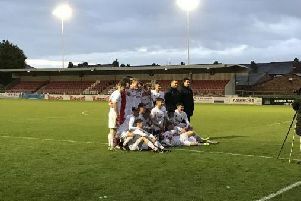 AFC Fylde's second season in the National League begins at home to Bromley on August 4, the Coasters having taken four points off the London club last term. The opening week of the season then brings an away trip to Wrexham and then a first visit to Havant and Waterlooville in Hampshire. A hectic start to the league campaign sees seven games in both August and September. Barrow are this season's opponents for the festive double-header on Boxing Day and New Year's Day and the season concludes with a visit to Salford City and finally a home clash with FC Halifax Town.